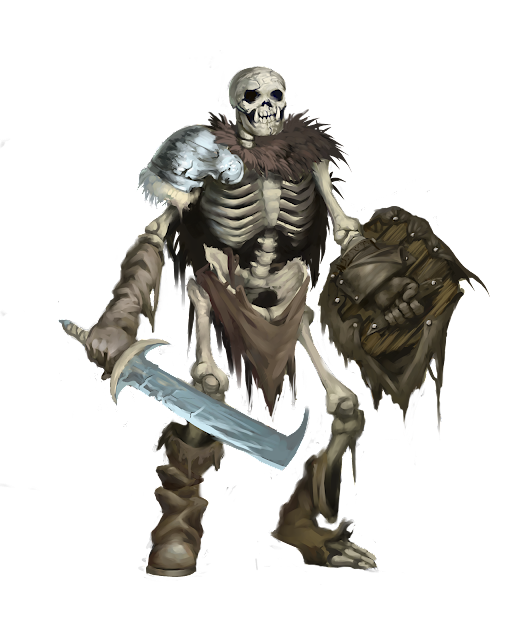 Aye, you need to watch out for them skellies with armor. Not saying they're intelligent, but I am saying they aren't your usual bucket o' bones. Simply put, these buggers are harder to hit and hit harder. Faster too, almost like they be feeding on the blood of those they be deading. They just ain't good lad, and I'd avoid them if the choice be mine. Special: Free attack when striking the killing blow against an opponent they receive a free attack on a new opponent. 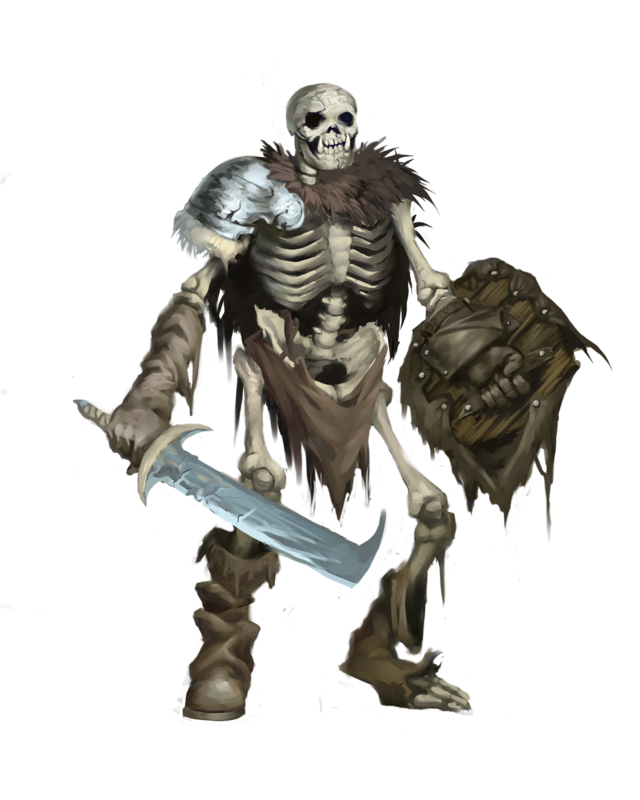 Midweek Monster Mayhem is brought to you by the generosity of The Tavern's Patreon Backers. #ConManKen - Aways Working - For YOU!